Most people reach Shirdi by road or rail. Sanjay Shankar Shinde, the founder of the running club Ramesh Nair trained with walked every year to the temple town from Mumbai. It is a distance of close to 250km as per the Internet. Curious, Ramesh, an engineer turned businessman, walked to Shirdi with Sanjay’s group in 2012. He did so again in 2013. Thinking of a repeat in 2015, he shared the idea with Satish Gujaran. The two lived close by in Mulund. They hadn’t met before, till running put them in touch. Satish had been training largely alone and mostly on the city’s Eastern Express Highway. What amazed Ramesh was the mileage he piled on daily and the dedication he showed to running. When Satish heard of Shirdi and the walk on Ramesh’s mind, he suggested: why not run from Mumbai to Shirdi? 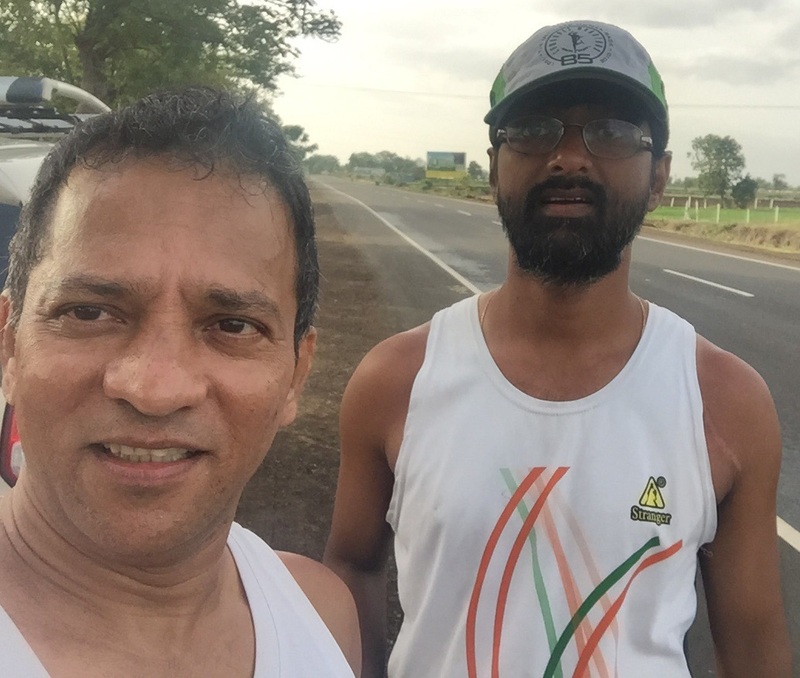 July 25, 2015, 6AM; three runners – Ramesh, Satish and Nilesh Doshi – supported by a car stocked with essentials and driven by Sanjay Gawade, a driver whose many outings with runners has made him adept at the task, set off for Shirdi from Mumbai. Nilesh elected to return on the second day. He had some work to attend to; he also felt his body temperature was rising unreasonably. Satish and Ramesh pushed on; the former, a bachelor and experienced ultra marathon runner, the latter, a family man, regular runner of marathons and someone who prefers to run respecting the boundaries of well being. “ I run within my comfort zone,’’ Ramesh said. Satish seemed a runner moulded by exploration and experience. Ramesh reposed faith in systems and research. For both runners, it was their first multi-day run. In his mind, Ramesh had studied the distance to Shirdi and worked out how much he should run daily based on his experience at marathons and the annual Mumbai Ultra, a 12 hour-endurance run. He had it all chalked out. Satish was battling a private worry; the classical Indian worry – leave of absence from office. They had started on a Saturday. He had to report for work Wednesday morning. Will they reach Shirdi before that? “ Satish can keep on going. He is a frugal runner whose needs are few. I am not, ’’ Ramesh said. In tune with their experience in distance running and differing styles, a gap opened up between the two. And proportionate to the widening gap on the road, Satish’s worry about Wednesday grew. Ramesh recalled the situation. “ The car was supposed to halt every three kilometres or so. I was running slowly. After I had reached the car and hydrated, Satish would tell the driver to proceed and wait after the next three kilometres. Then I noticed – he was saying three and indicating four with his fingers!’’ Ramesh said laughing. In the end, it all worked out well. Around 2.30PM on Tuesday, July 28, the two runners reached Shirdi. After a quick visit to the Sai Baba temple, they returned to Mumbai. Satish was back at work, Wednesday morning. Exactly 100 years before from the day the duo reached Shirdi, an event occurred in Europe that would leave its mark on the world of running as well. On July 28, 1914, a month after the assassination of Archduke Franz Ferdinand in Sarajevo, Austria-Hungary declared war on Serbia, officially commencing the First World War. The cascading events that followed sank Europe into one of the bloodiest conflicts of human history. In four years of fighting, more people would die than in the wars of the preceding 100 years. Almost 70 million military personnel were mobilised; of them, over 8 million died. The survivors bore scars in the mind. Happening in the age of empire, the theatre of war exceeded Europe; those fighting and getting killed included many from outside Europe. Among people caught in the tentacles of empire and therefore pushed to fight, were the South Africans. They fought on the side of the Allied forces, in Africa and Europe. The war in Africa, a long distance from the trenches of Europe, was triggered by the German plan to keep the Allied force’s Africa based-military assets engaged in Africa itself. Vic Clapham was one of the South Africans who saw action and survived. He was born in London on 16 November 1886 and immigrated to the Cape Colony in South Africa with his parents. When the Anglo-Boer war broke out, Vic aged 13, worked in an ambulance team. Later he moved to Natal and worked as an engine driver with the South African Railways. During the First World War, he signed up with the 8th South African infantry, fighting and marching long distances through the savannah of eastern Africa. The hardships he and his friends endured left a lasting impression. Above all, he remembered their camaraderie. As peace returned in 1918, he sought a memorial to commemorate the South African soldiers who had died; a memorial that highlighted human endurance. Clapham’s home town was Pietermaritzburg. He visualized a foot race from there to Durban. If soldiers could cover vast distances and endure it as they did in the war, Clapham averred, trained athletes should be able to do the same. This in mind, he approached the athletics administration in Natal for support. They declined. Then he approached The League of Comrades of the Great War, a body representing ex-service persons. Initially turned down, Clapham persisted. In 1921, the league yielded. It gave its assent. Clapham founded The Comrades, the world’s oldest ultra marathon race and now it’s biggest. First run on May 24, 1921, the route links Pietermaritzburg in the mountains with Durban on the coast. Forty eight runners enrolled for the inaugural race. Of that, 34 set off; 16 finished. Many of these runners were earlier infantrymen who had fought in Africa. At present, nearly 20,000 people run this ultra marathon every year. They come from different countries. The race alternates every year between uphill and downhill with the former measuring 87km and the latter, 89km. Founded as a war memorial, over time, The Comrades has acquired the reputation of being a fantastic event, remembered for the bonhomie, crowd support and cheering. Satish never expected his life to get mixed up with The Comrades. He was born at Udipi in southern India on March 27, 1963, pretty close to the May-June period hosting South Africa’s iconic race (throughout its history The Comrades has been run in either May or June). Coincidentally in May 1963, a record was set at The Comrades. South African runner Jackie Mekler, who at five wins overall is tied with three others for the second highest number of wins at The Comrades in the male category, set a new record (5:51:20) in the ` down’ version of the run. With that he became the first runner since 1954 to hold the record for both the `up’ and `down’ versions. In 1960, Mekler had run the `up’ in 5:56:32. Those days there was no ultra marathon in India, likely no awareness about The Comrades. South Africa existed in the shadow of its apartheid policies. For many years, resultant sanctions denied the country participation in international sporting events. Sanctions prevented other countries from touring South Africa. In cricket crazy-India, once in a while the press published a photo or carried an article about South African cricketers. The names of Barry Richards, Mike Procter and Kepler Wessels floated around. Once in a while, the media mentioned Zola Budd, the legendary runner. Else, compared to what South Africa is in sports today, little was known of sports from Africa’s southern tip. Anything South Africa was usually about its politics. The country however featured prominently in Indian awareness. There was an Indian community in South Africa and the names of South African cities and towns had featured in history text books at Indian schools, especially in the context of Mahatma Gandhi and India’s freedom struggle. Pietermaritzburg was where, in June 1893, Gandhiji was forced off a train; an incident that made him determined to fight the racial discrimination against Indians and played a major role in shaping his future thoughts. Today, long after India’s independence and the end of South Africa’s apartheid laden-policies, a statue of Mahatma Gandhi stands on Church Street in Pietermaritzburg. Far away from South Africa and The Comrades, in India, school for Satish was 3-4km distant from home. Neither the distance to school nor the walking conspired to craft the outline for a future story in running. On the other hand, the youngster was more interested in games than running and athletics. Of his three sisters, two played badminton at the district and state level. The years went by largely nondescript. It was a regular life. Satish attended college in Bengaluru (Bangalore) graduating in commerce. “ There was nothing significant in my life, concerning sports then,’’ he said. The eldest child in the family and thereby expected to work, Satish travelled to Mumbai seeking employment. He did odd jobs for a while. Then, still no runner and given to smoking heavily, he moved to South Africa. The person, who made this shift possible, was a friend – Dereck Mahadoo. He owned a construction company in South Africa and was looking for a supervisor. In due course, Satish joined Dereck’s company. He stayed with Dereck and his family in Durban, one of the two end points linked by The Comrades route. The new supervisor from Mumbai smoked like a chimney. The boss on the other hand, was a runner. Dereck had already run The Comrades six times. “ One day, he asked me to go along and walk with him while he ran. That became my first attempt at running,’’ Satish said. It was difficult. To start with, he hadn’t run before in his life, definitely not with a view to be runner. To complicate matters, he had spoilt his chances of enjoying a run through becoming a chain smoker. The duo persisted. Helping them was the local environment; South Africa had plenty of running events. There was a race every weekend, including several distances in the link category that helped those newly into running, nudge up their ability to cover distances. The year was 2004. 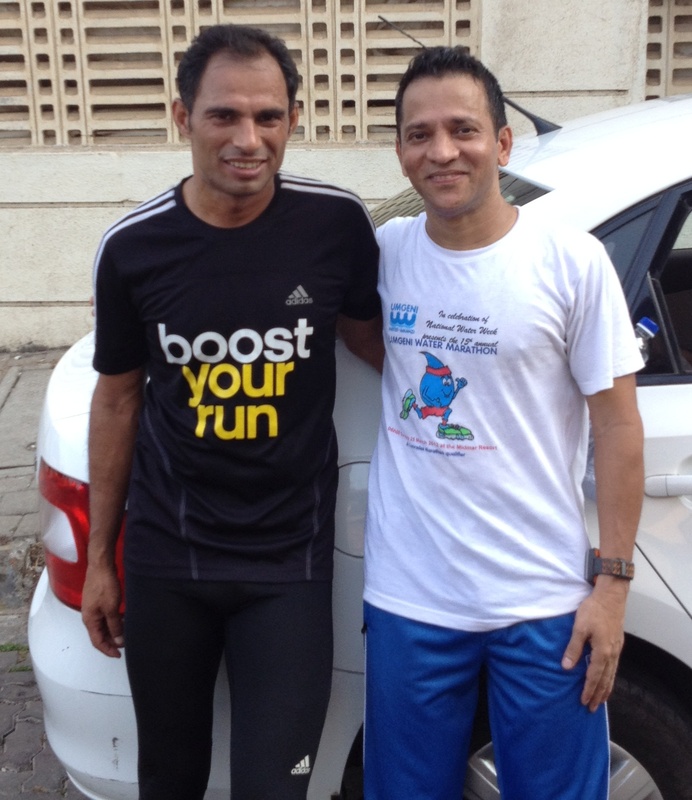 Forty one year-old Satish picked up running pretty fast. Encouraged by the progress, he entered for his first formal half marathon. It ended up a DNF – Did Not Finish. “ By the twelfth or thirteenth kilometre, my knees were in utterly bad shape. An ambulance drove up and a lady said: get in, you have your whole life to run,’’ Satish recalled. That DNF was a lesson. It brought home an immediate war to declare in his journey to distance running – Satish had to confront his habit of smoking. “ It was tough giving that up,’’ he said. Dereck it appears, left an impression on Satish. According to Ramesh, when he was struggling on the uphill at Kasara en route to Shirdi, Satish stepped in to help. He broke down the ascent into smaller goals marked by sign boards along the road. “ From here to there, you walk. Then from there to there, you run. So on. When he broke the challenging section into small portions it helped me greatly. Apparently that is something he learnt from Dereck,’’ Ramesh said. Satish’s stint in South Africa also included some crazy contests, which may explain the reservoir of energy, others say, he digs into. For instance, he won a competition that challenged people not to sleep. He didn’t sleep for a few days. In 2006, Satish returned to Mumbai. The Standard Chartered Mumbai Marathon (SCMM) was by then a couple of years old. The spirit of running was catching on in the city. For two to three years, Satish ran the SCMM; he did no other major runs. On the average, he could run a full marathon in about 3 hours 40 minutes. Then in 2009, he picked up talk in Mumbai’s running circles, of The Comrades. Along with his affection for South Africa and memories of good times had there, the idea of running the famous ultra marathon tempted. But he was still a smoker. Between smoking and lessons from the old DNF, smoking had prevailed. The war was far from over. Satish nevertheless registered for the 2010 Comrades. There was a small group of people going. They heard of each other and met up. To train for The Comrades, they followed training regimens found on the Internet. Training started some time after February 2010. In addition to running in Mumbai, they ran in Lonavala, the popular hill station on the way to Pune. As part of preparations, they did two 56km-runs, a full marathon and one run of 65km. Each was apart by 20 days. Some of the runs commenced early; the 65km-run used to start at 2 or 3AM. A car with driver provided support. 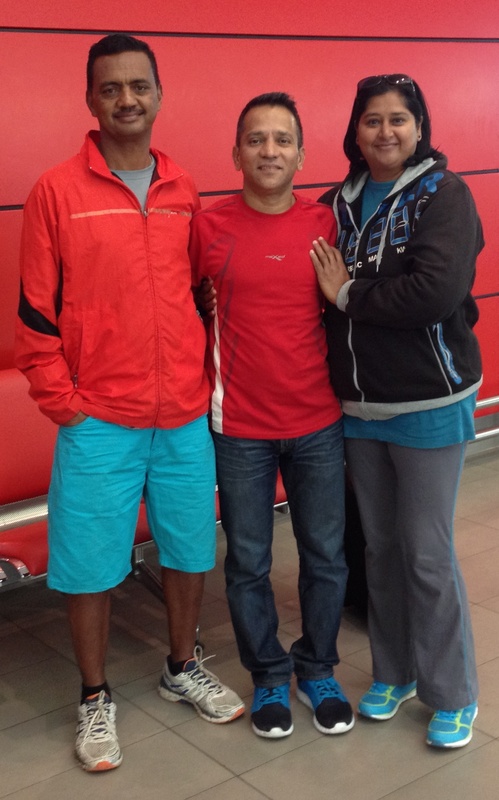 Satish’s first Comrades in South Africa, was the ` down’ version from Pietermaritzburg to Durban. Around the 65-70km mark, Satish suffered cramps in his calf muscles. He managed to handle it but the problem kept repeating. Life was forcing a decision on him. It was clearer than ever – you run healthy or you don’t run at all. Back in India, following The Comrades, Satish joined the `Inner Engineering Course’ offered by Isha Foundation. “ There I stopped smoking. By November-December 2010, I was free of the habit,’’ he said. Since 2010, Satish hasn’t missed a single edition of The Comrades. Every year he flies to South Africa to run the race. Running in 2011, on the heels of his debut at the 2010 edition, he qualified for an additional medal given to those who do two Comrades back-to-back. By October 2015, he had run and finished the iconic race six times becoming in all likelihood, the runner from Mumbai with the most number of finishes at The Comrades. Satish plans to run The Comrades at least 10 times. “ If you run it 10 times, you will get a green number, a bib number that is permanently yours. It is given by that year’s race winner,’’ he said. Satish explained why he loves The Comrades so much. “ The atmosphere is electrifying. The crowd support is fantastic and runners come from everywhere. The event is well organized. It is like a carnival. The route is challenging, it engages the runner. Finally, Durban has a sizable population of Indians and people of Indian origin. Indian runners get cheered,’’ he said. According to him, completing an ultra marathon like The Comrades is as much about strategy as it is about training. He spoke of veterans who have been running the race for years, taking it slow and keeping their energy in reserve for the course’s strenuous sections. “ Planning is important for good timing at The Comrades. To run slowly, you need courage. It comes only with experience and maturity,’’ Satish said. Over time, his training style also changed. In years gone by, he used to train 5-6 days a week. Now he trains 3-4 days. “ Quality matters more than quantity,’’ he said. Ramesh highlighted one more angle – discipline. Each night during the Mumbai-Shirdi run, while Ramesh took his time to get over the day’s exhaustion, Satish would clean up and finish his chores like clockwork. 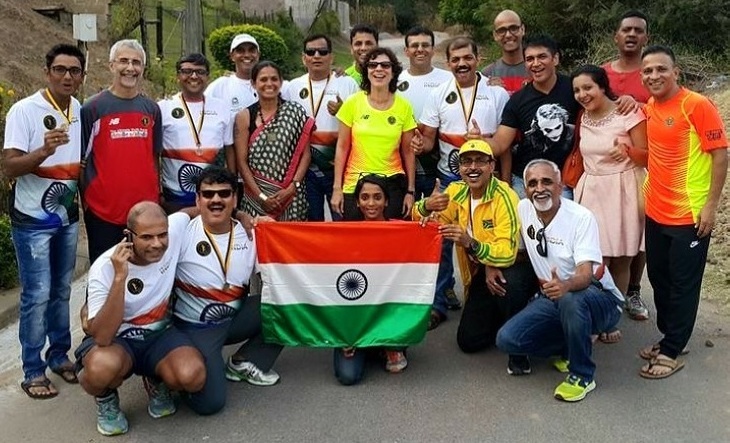 Although he has run The Comrades six times, until the Mumbai-Shirdi run with Ramesh, Satish hadn’t run an ultra marathon in India except the annual Mumbai Ultra and those long training runs for The Comrades. One reason for this was work and the commitments at work, which accompany life as employee. The Indian environment, arguably, has two prominent drawbacks. First, the pressure of high population and rat race is such that appreciation of human existence has narrowed to self worth by position and possessions. In this, sport is easily dismissed as irrelevant unless a person’s position in the sports pecking order is such that he is supremely successful. Life is all about success. Second, growing economies gift busy lifestyles to their citizens. Over the past six decades as various Asian economies gathered momentum, this shift has been documented in their respective populations. In India, the shift has occurred within a matrix already rendered crushing by other factors. The business of survival is too tiring at Indian cities to attempt anything else. “ I don’t think I have exploited my full potential,’’ Satish said, explaining his predicament. He sounded a bit sad. Yet at 52 years of age, he toys with the idea of shifting full time to running. He wonders if he will find supportive sponsors; somebody who would both ensure a certain income for sustenance and back his running. Indian youngsters are beginning to articulate such plans; they are getting support from sponsors eyeing the Indian market qualified by the high dose of young people shaping it. But therein lay another challenge – being middle aged and pursuing one’s dream in an India that is now overwhelmingly young, is no easy task. The old – particularly the old and eccentric as distance runners tend to be – are not a priority for commercial support. Satish however finds a way. In September 2015, a marathon was held in Surat. Satish approached the organizers with an idea – as an expression of support for the event, why not have him run from Mumbai to Surat? They agreed and provided the required infrastructural assistance. 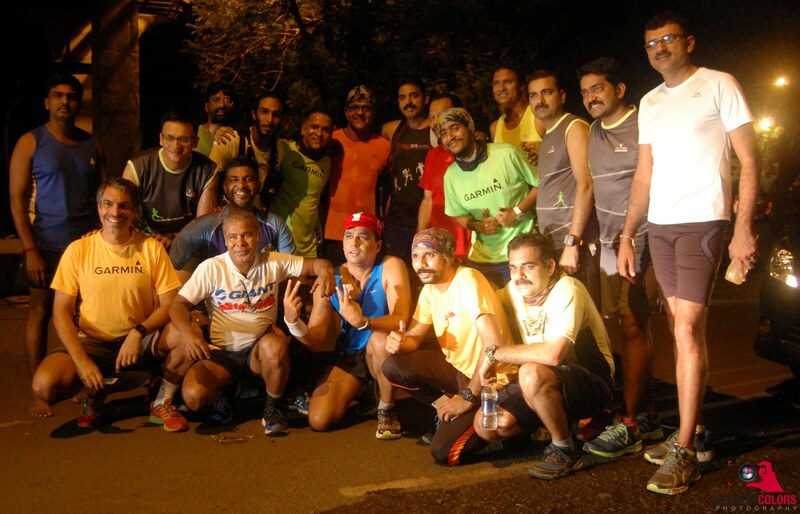 Early morning September 10, with a vehicle carrying essentials trailing him and periodically met up en route by fellow runners, Satish set off for Surat. He reached his destination – the event venue – by the end of the third day, having run an estimated 264km. On the day of the event, he polished off his effort by participating in the half marathon. Now he thinks of a Mumbai-Pune run. Also slated for the future, hopefully with the support of the Isha Foundation, is a run from Mumbai to Coimbatore. It takes a zone of discomfort to make us aware of our capacity for endurance. Limits explored and the self spent, all is peaceful. Imagined differently, you can keep the peace if you remember to engage and exhaust yourself every once in a while, which is what opportunities to run and ultra marathons are all about. It is about finding peace. “ Running is now a part of me. If I don’t do it, I feel uncomfortable,’’ Satish said. Update: At the 2015 Vasai-Virar Mayor’s Marathon held in November, Satish finished third in his age category in the full marathon with a timing of 3:49:00. When I was young, the media engaged as access to wider world. Now it sticks crowded world into everything. No quiet moments of solitude anymore. It is an epidemic of others in your head. My old phone has no Internet; I only text and answer calls. No apps, no Facebook, no anything else I don’t yet know of. Not having a smartphone, my friends assure me, condemns me to oblivion. The world’s business, they warn, is being swept into smartphones by a tsunami of money. Being one with the swarm is the smartest option in life reduced to beehive. It puzzles. `Smart’ owes much to apartness. By which yardstick, thinking independently should be smart. Perhaps there isn’t anything called independence in consumerist world. You go where business goes. Every time I step into a Mumbai commuter train, I feel disappeared. Everyone has a smartphone. I used a cassette player when train commuters shifted to CD player; a CD player when they moved to MP3 player and now, a MP3 player as they do finger tip-magic on their all-in-one smartphone – it takes calls, types, plays music, screens movies, makes payments, plays games. What doesn’t it do? I hang on to my old phone for the relief of what it doesn’t do. “ What matters is the music and how well you listen to it. Smartphone, MP3, CD or cassette – that’s irrelevant,’’ I argued. My friend was unimpressed. “ How long will you be like this?’’ he asked. Working in a bank, he knows the tsunami has started. They are jamming whole banks into the smart phone. When he speaks so, I picture myself in deep space, waving good bye to planet Earth. You have seen that scene many times in movies – the actor reaches out to you like a drowning individual and then slowly recedes, becoming smaller and smaller (all the while reaching out) till he disappears into inky blackness. I am hurled towards Pluto. Cut! Actually, I should be grateful for having a friend who is concerned. What he told me was for my own good. I was thinking of all this when I boarded the train for my daily rendezvous with fading. Early evening-trains usually bring a rush of college students. This was a Saturday. The youngsters were there but not many. I took my seat and pulled out my MP3 player from the bag. The young man next to me moved closer to the window; he kept his bag between us. Another of the tech-savvy, keeping distance from the obsolescent, I thought. Relax man, I don’t infect and even if I do it is just this harmless disease called hyposmartivity, entirely curable with a prick to the ego – I wanted to tell him. Then he returned his phone to the bag and pulled out a book. That was when I noticed his phone, very similar to mine. Unable to contain myself, I told him, “ you know I thought I am the only one still walking around with a phone like that.’’ He laughed. “ Yeah, I carry an old one,’’ he said tad sheepishly as nerds do when confronted with their lack of mainstream cool. As he spoke, he glanced around nervously at some of the other seats, where smartphone-totting youngsters sat, glued to their screens. “ I don’t want a smartphone. I am happy with what I have. But they say I will have to upgrade because our money is going to be managed using smartphones,’’ I said. Despite my guard, my cynicism showed through. It always does, for I feel angry that life is increasingly about swimming with one tide or the other. Those who won’t, should seek exile – that’s the emergent logic. Makes me wonder – what happened to interesting people? You know the sort who felt life by exploring the universe alone. Stay positive, stay positive – I pinched myself. The college student smiled – a sorry you lost but don’t tell me you weren’t warned-smile. “ In my case, I know what smartphones can do. But if I carry one, I won’t study. It is a distraction. So I don’t keep one,’’ the youngster said. What? – I was stunned. For a second, I must have looked like Utpal Dutt’s Bhawani Shankar beholding Amol Palekar’s Ramprasad Dashrathprasad Sharma in Hrishikesh Mukherjee’s wonderful film, Gol Maal. I looked at the young man, eyes open wide in admiration. “ Appreciate that, your ability to know what you want and choose accordingly,’’ I said. It was as much encouragement to the other as it was discreet pat on the back for my own eccentricities. That evening on the train, I didn’t hide my MP3 player. I let myself be. I think that young man will find his way abroad to a fine university. He seemed studious, hard working and committed enough to do that. Having dodged the smartphone to study well, go overseas and make his mark, what will he do next? Side with the swarm and sell me a smarter smartphone? To uncle with love – free ticket to Pluto. Who knows? A few days after this train journey, a good friend, concerned about my obsolescence, put her foot down and said I am getting her old smartphone as she is upgrading. God bless her. But the eccentric devil in me can’t help feeling amused – a device with so many functions to manage freelance writer’s paltry income? It is overkill. Still, I will go with it; be smart for a change. The other day I woke up unable to recall the one song I have loved all these years. It was a frantic moment; almost as if I had lost myself. The first time I heard that song, I had immediately fallen in love with it for the journeying groove in which it couched its truth. Everything about it moved except for its core; what’s more, everything moved because its core recognized the futility of staying put. So I thought. So I choose to continue believing for I don’t usually latch on to songs by their lyrics. I don’t read music. The times I memorized lyrics and sang, I felt surrendered to a purpose. Music, for me, has no purpose. It just, is; much like life. You can snuff out life just as you turn off the music. But when you are alive, can you question consciousness? It is what it is. Similarly, you like music. Don’t try explaining why your atoms and molecules rearranged to happiness, hearing the sounds. Don’t try explaining why you swayed to music. Let it be. And from that, some songs stay. Those that stay long, you may opt to work your way back from musical impression to the lyrics. It is a bit like finding a good friend. You know each other with time. You think you explained the other having unravelled the lyrics. Then, just when you thought you had it all explained, a whole new mystery starts! The cosmos is restless. “ I Still Haven’t Found What I’m Looking For’ – the line meant little to me when I first heard U2’s song, way back when their album ` The Joshua Tree’ was nominated for the Grammy Awards. The nominated songs and the award presentation used to be telecast as a half-hour capsule on national television those days in India. I fell for the song’s structure and progression right away. For me, its seminal line was merely a name to remember it by. What attracted was the whole thing. Years passed. Now working away from home and my room with a music system, music transformed to small portable audio player and headphones. Eventually when I failed to keep pace with technology, it transformed to tunes in the head. I even liked returning from a month of self imposed ban on the media, to my music – hearing it with renewed freshness. 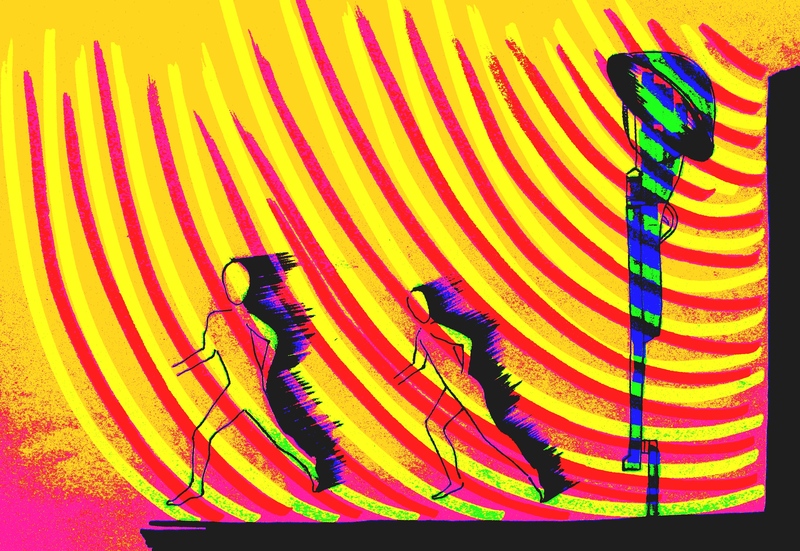 My affection for the song was perhaps a sign of things to come, for my sense of life as adult has always been out-of-body, as though peering at passing sights from the confines of a self limiting-shape. Every time that procession of passing sights took hold, the song would fill my head. Indeed U2 was especially talented in creating such imagery through their music; many of their songs possess the feeling of travel. Wind in your hair, self on a comet streaking through the cosmos, the clarity in un-belonging. I could go on. Larry Mullen Jr, Adam Clayton and The Edge – that’s a trio of talented rock musicians. 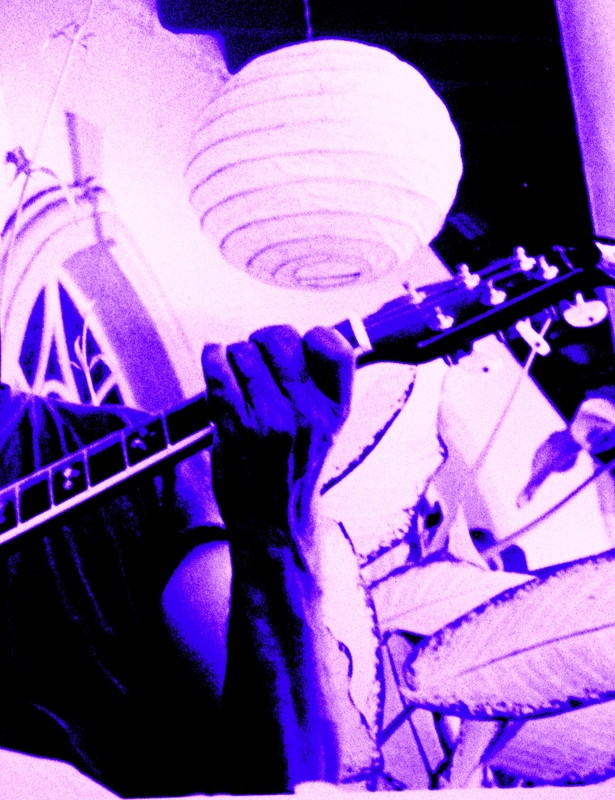 They build the musical ambiance, the journeying spirit that bears forth the band’s lyrics and Bono’s vocals. As the years passed, my affection for their music outgrew the one song I loved, to the many embodying that journeying spirit which the band captured in its work beautifully. But it was when one’s failures in life multiplied amid world inspired by media to worship perfection and success that I really understood (in my own way) why the words ` I Still Haven’t Found What I’m Looking For,’ mattered. 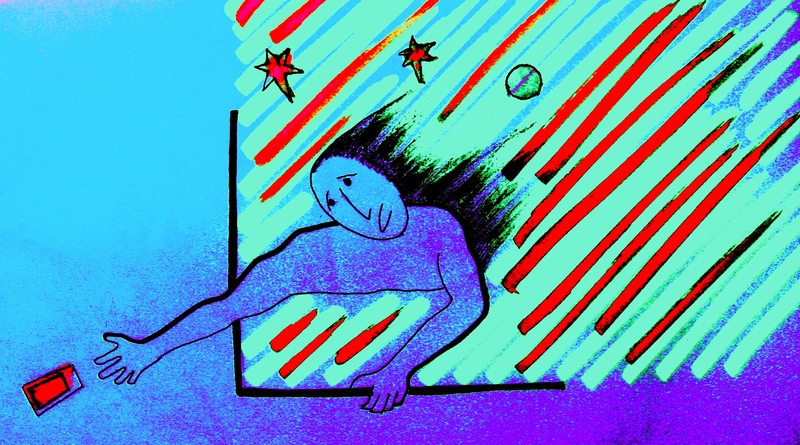 My daily life had become a clash of two trends – the comet-rider wanted to move on; earthly life, gripped by money, wanted to stagnate so that life’s explained ways can be milked for income. What is life if it gets explained? What if we found what we are looking for; what next? Are we wired to find and settle down or are we wired for the journey? I remember the first proper length of time I spent camped on a glacier surrounded by snow clad peaks. The remoteness of Zanskar, the whiteness of the peaks in the dark of the night – all stayed in mind. I am a very average climber. Rest assured, if I can do something, anybody can. I hiked, climbed rock, ran and cycled – in everything I did, I was very average. But I came off understanding why I liked doing those things or being in remote places away from people. Life is a quest; I still haven’t found what I’m looking for. Equally, if I found what I am looking for, what happens to the quest? It ends? Even the idea that there is no quest and only this life to endure as the wise love to tell you – how would you like it delivered; as a truism at start that denies the journey or as discovery in life lived as a quest? A lot of people these days emphasize the importance of looking inward. They have a point. It is augmented by the fact that the ancients advised so, which suggestion I am not a fan of for I like being alive to my times. I am not a yogi to feel rested and peaceful within the walls of my being, universe internalized. I felt alarmed when I couldn’t remember U2’s song. I spent the next couple of hours listening to U2’s songs and concerts; and in that, my old song. I shed tears of joy. I felt a gentle breeze kiss my face as journey recommenced. So we traveled, till one day something else happened. Out of the blue, a tune surfaced in my head and kept going on and on. It wasn’t a song that latched on to my mind the first time I heard it years ago. But the way it resurfaced, I could sense urgency. As with U2, I got on to the Internet and spent much time listening to Sting, possibly the most gifted singer-musician out there. The song in question was ` If I Ever Lose My Faith in You’ from his 1993 album ` Ten Summoner’s Tales.’ The funny thing about suddenly having this song in my head is that it wasn’t as imprinted in my brain as some of Sting’s other compositions. But that day, the song about losing faith wouldn’t leave the head. It wasn’t totally surprising for I had been experiencing a sense of loss, something slowly vanishing. I don’t know exactly what I am losing faith in. Like I said before the precise cause for a song’s lyrics don’t engage me. Over analyzed and over articulated, world by technical mind has become boring. Often a song strikes a chord for no better reason than that it did. It is like finding curves in world made monotonous by grids and pixels. I know I am losing faith in something. Don’t ask me to describe it as if my saying so will help you fix it. How can the problem find the solution? In bits and pieces, the song offered imperfect words for the predicament. Above all, it swept me with its swaying music, hinting in its moments of wordless fluidity a refuge for the un-belonging I know is mine. Un-belonging and universe are the same.